Wolverhampton Services are hidden up the short arm. 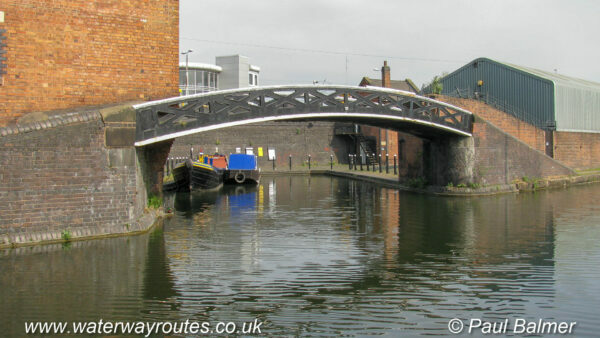 Immediately on the Birmingham side of Broad Street Bridge in Birmingham is a short arm which is where the facilities are. They can be accessed by mooring in the arm, or through a gate after mooring on the main line.